Home » Blog » Insights » Power System Hacks – Unlikely, Possible, Probable? Blackout is the story of quite possible, increasing probable power system hacks that succeed in bringing down complex systems of systems in our modern world. Do you enjoy reading scientific thrillers? 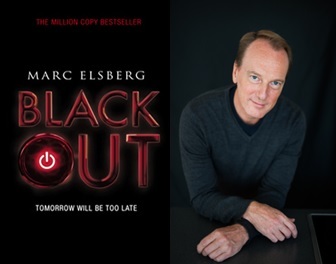 If so, check out Blackout by Marc Elsberg. Set in modern Europe, Elsberg describes the effect of a massive cyber attack on interconnected power grids. Blackout digs into how it could be done, how the culprits were caught and in particular, how modern society can be brought to its knees. The power grid is really the “engine under the hood” in our modern societies. Something we take for granted, and for good reason. Our electricity supply has been amazingly reliable. And everything in our modern social and business supply chains, even the gas pumps, run on electricity. Yet, with recent burial of power cables underground, our power grid has become largely invisible. And yet, authorities admit that power grids face many cyber intrusions, or power system hacks, every day. Marc provided an interesting TED Talk about Blackout. Most of our modern infrastructure is built as systems of systems. Infrastructure is not monolithic; it is distributed. Systems of systems are all interconnected through standard interfaces, usually published. Smart meters, SCADA systems, generation controls – all are digital and connected to networks. The massive cyber attack in Blackout started with power system hacks on smart meters in homes and businesses. You will read how these hacks led to cascading effects through systems of many systems. Unlike many other scientific thrillers, Blackout spends a lot of time describing the social disruptions that flow from a prolonged power outage. For example, international police agencies find their members deeply distracted by the challenge of feeding their families when the food supply chain collapses. After reading this book, you just may want to run out and buy a generator. Maybe even consider becoming a survivalist!